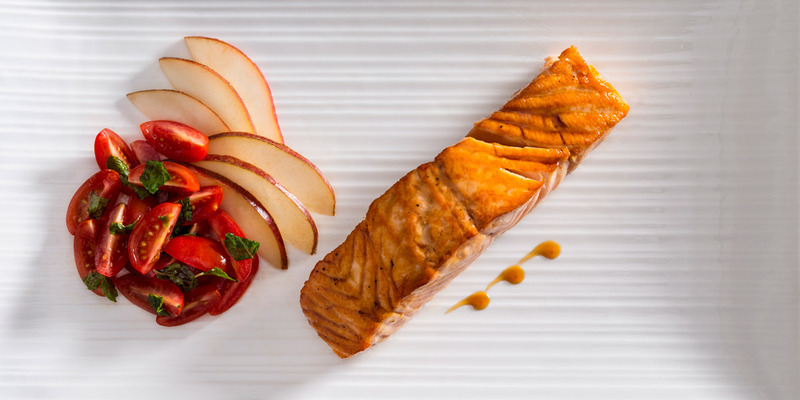 Salmon is one of America’s favorite seafood dishes – second only to shrimp in popularity. But recent challenges in the industry have pushed production down – and prices up. What’s causing the salmon shortage? It’s several factors actually, that vary depending on where you source your salmon. But it doesn’t matter where you go: Asia, Alaska, Chile or the North Atlantic. Ocean pollution, changing water temperatures and rising sea levels, are all having a direct influence on the sustainability of our planet’s global fishing system. Salmon everywhere have been affected, resulting in a global supply drop of 9%. The good news is the salmon industry is responding with innovations in salmon farming techniques that will lead to more supply and ultimately prove invaluable to the long term sustainability of salmon. Two of the newest technologies are land-based, enclosed containment pool farming and recirculating aquaculture systems which are healthier and more sustainable than ocean farming or wild fishing. Currently, these new techniques account for less than 1% of the global fish market but this number is expected to grow substantially as this significant shortage spurs growth in this area — and as our love for salmon incentivizes a more widespread adoption of these new farming methods. At Between The Bread, we source the healthier, farm raised salmon, mostly from Norway and the Faroe Islands – areas known for their top quality Atlantic salmon. Contrary to what some may think, farmed fish can actually be healthier than wild caught because the fish are fed more omega-3 through their feed than a wild-caught fish. In addition to the health benefits, fish farms are becoming more environmentally friendly. In the past, the concern with farmed fish has been the cost of fish feed, but that’s changing as researchers work on developing pelleted feeds that contain more soy than fish – which is actually more economically sound. These are all positive developments we can look forward to in the near future, but how does the current situation affect you now? Make sure the salmon you’re eating is being handled bysomeone qualified. Just like anything you ingest, be sure you trust the source, whether it’s a supermarket, restaurant or seafood shop – they should be knowledgeable about the salmon they’re serving. Ask questions! Keep in mind, supermarkets in the U.S. are required by lawto label the country of origin of many foods, including seafood. Do not purchase seafood without label information. A quick google news search on salmon will give you the most updated information on the current factors to consider when choosing what kind of salmon to buy or eat at a restaurant. Make sure the salmon you’re served has an opaque inside. The University of Alaska Fairbanks lists the visual indicator of salmon that no longer looks translucent and becomes a cloudy, pink color as ready to eat. Don’t be nervous if the salmon is juicy, it doesn’t necessarily indicate that it’s undercooked.